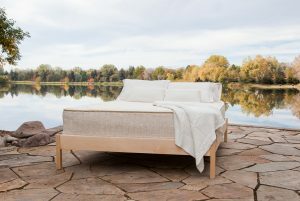 The Natural Sleep Store carries a variety of organic innerspring mattresses for those looking for an organic mattress made from the world’s purest materials. Our organic pocket coil and innerspring mattresses are made from organic cotton and wool with metal spring units at the core. These organic mattresses are extremely pure with no added chemical flame retardants. Sleep is dreamy with the Freefrom Pocket Coil Mattress! Just like the name suggests, this mattress is free from dangerous outgassing, flame retardant chemicals, and polyurethane foam. What it does have is natural and organic materials like GOTS certified organic cotton, natural Joma wool, organic cotton canvas, and natural Dunlop latex. The base of the mattress has individually-wrapped 8 inch pocket coils that provide stability and support. A 3 inch top layer of natural Dunlop latex in either soft, medium or firm allows for customizable pressure point relief and added luxury. For an even more incredible feel and extra breathability, you can upgrade to a soft layer of convoluted natural dunlop latex. These quality materials work together to provide a healthy, comfortable, free from worry sleeping option. $1,000.00 – $2,250.00 Amazing prices on this healthy pocket coil mattress free from chemical flame retardants, harmful outgassing, and polyurethane foam! $1,400.00 – $3,100.00 Supreme comfort with natural talalay latex in this healthy pocket coil mattress free from chemical flame retardants, harmful outgassing, and polyurethane foam! 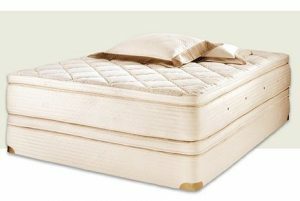 The Rossa certified organic pocket-coil mattress offers customizable comfort in the popular combination of latex and coils. The Rossa utilizes pocket coils as a base later and adds a layer of organic latex on the surface that is customizable. This latex layer is available in plush, medium or firm. A certified organic quilted cotton and wool zippered cover encases the coils and latex for superior comfort. OMI’s dedication to purity makes the Rossa pocket-coil mattress kind to the body as well as the environment. Part of OMI’s Rest Collection. 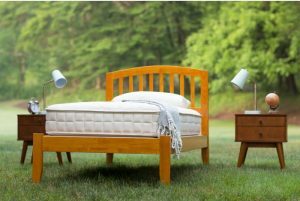 $1,699.00 – $5,049.00 A certified organic, customizable, pocket coil mattress at remarkable prices! Sale ends September 30th! 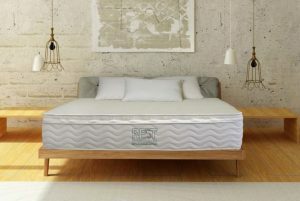 This version of the popular certified organic Rossa Pocket-coil Organic mattress features a coil base and a layer of soft sculpted latex on top that is unique to OMI. This plush layer of sculpted latex provides greater air circulation and additional pressure-point relief. OMI’s signature quilted cover made with certified organic cotton and organic wool encase the coils and latex, putting the finishing touch on this plush yet supportive mattress. The sculpted latex later is not customizable. For customizable latex firmness options, please see the Rossa Pocket Coil Mattress. Part of OMI’s Rest Collection. 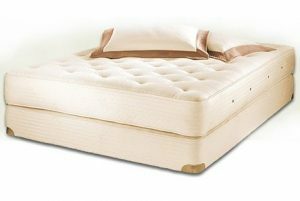 $1,899.00 – $5,399.00 A certified organic pocket coil mattress with a plush sculpted latex top. Sale ends September 30th! 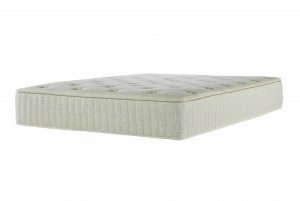 $6,785.00 – $12,719.00 Royal Pedic's top of the line pillowtop innerspring made with organic latex, organic cotton and organic wool. 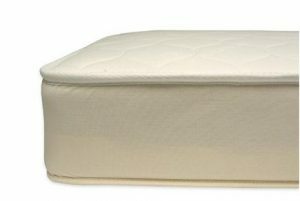 $3,018.00 – $5,928.00 This inner spring mattress from Royal-Pedic's Natural Organic Collection features organic cotton and organic French wool. $2,710.00 – $5,178.00 This vegan innerspring mattress from Royal-Pedic's Natural Organic Collection features organic cotton with no wool. 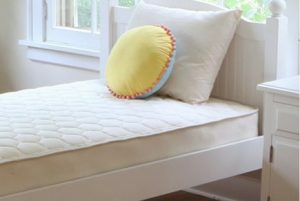 $899.00 – $1,898.00 This kid's innerspring mattress is available with an organic cotton quilted finish on one or both sides. Available in twin to queen sizes. From the luxury organic mattress manufacturer, OMI, comes a customizable pocket coil mattress made with organic cotton and wool. On top of the coils is organic latex: you can either choose your comfort level of the latex layer or choose a plush OMI exclusive sculpted latex top. The Savvy Rest Earthspring is an economical innerspring mattress with a layer or natural latex on top, for added comfort. Made from the same high quality materials as the other Savvy Rest mattresses, organic cotton, organic wool, and natural latex. Royal Pedic spring mattresses are made with organic cotton and wool. Except for the Cloud Pillowtop model, all models are latex-free. With no natural latex, these Royal Pedic mattresses are great for those with latex allergies and for those seeking one of the finest mattresses made. All latex-free mattresses are firm mattresses of the highest quality. Also available in a vegan option, with no wool. 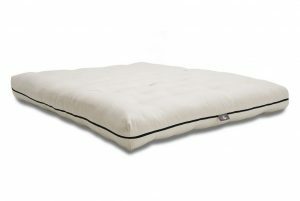 The Cloud Pillowtop has a firm support with a plush finish from natural latex. Naturepedic is an industry leader providing economical spring mattresses made with PLA and organic cotton. Fantastically priced natural mattresses with a pocket coil core and covered in organic cotton and Joma wool, Freefrom has rapidly become one of our fastest sellers! Featuring a top layer of latex for comfort (available in both a natural dunlop and a natural talalay model), this layer is customizable to meet your firmness preference. Our best priced mattress, the Organic Cozy Nest Mattress by TFS Honest Sleep features micro coils covered in organic cotton and natural wool!